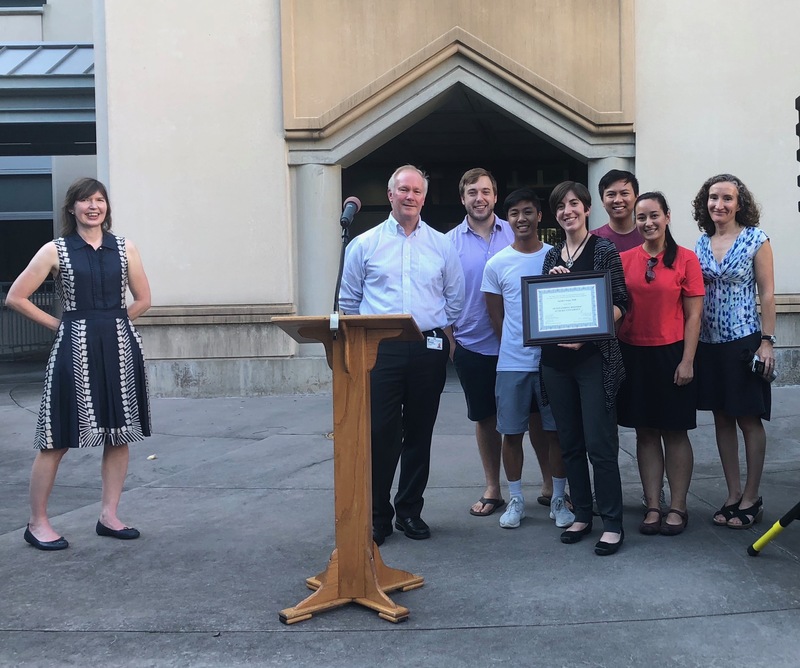 The Office of Postdoctoral Services and the Duke University Postdoctoral Association (DUPA) held the 13th Annual Postdoctoberfest Celebration on Friday, October 5, 2018 to honor the university’s hard-working postdocs and their mentors. 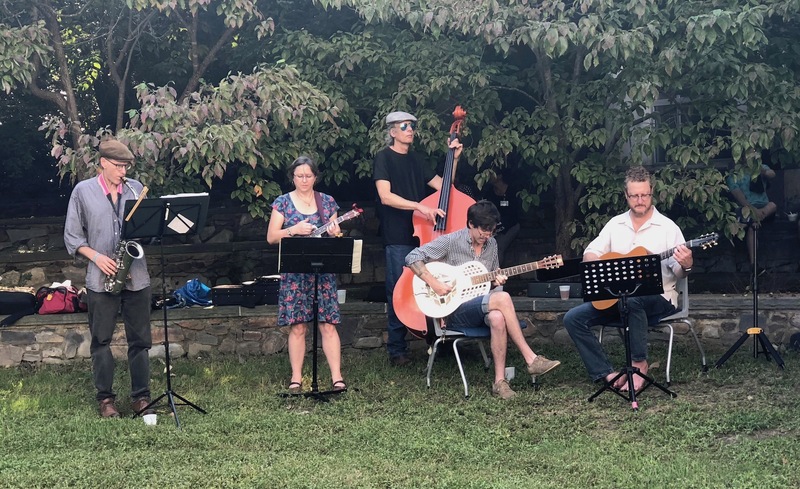 Postdocs, their families, faculty, and staff enjoyed hot dogs and veggie dogs with all the fixings, Torch Pilsner from Foothills Brewery, and the music of the Huzzah Band. The giant bouncy race car was a hit with all the kids in attendance, as were the four flavors of Maple View Farms ice cream. 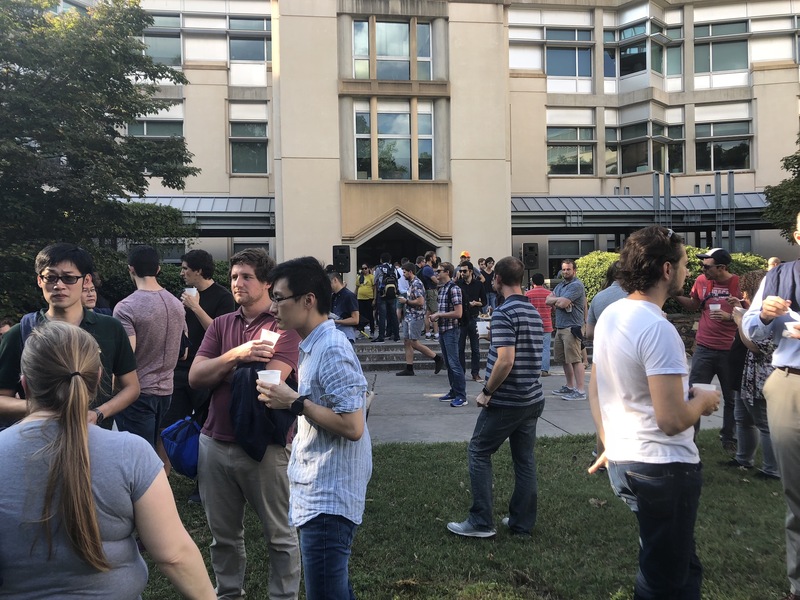 Postdocs received an official Duke Postdoc t-shirt and enjoyed the warm fall weather. We gave ourselves a big round of applause in honor of our thirteenth anniversary! Each year, the highlight of Postdoctoberfest is the presentation of awards to the Outstanding Postdoc and Outstanding Postdoc Mentor at Duke. 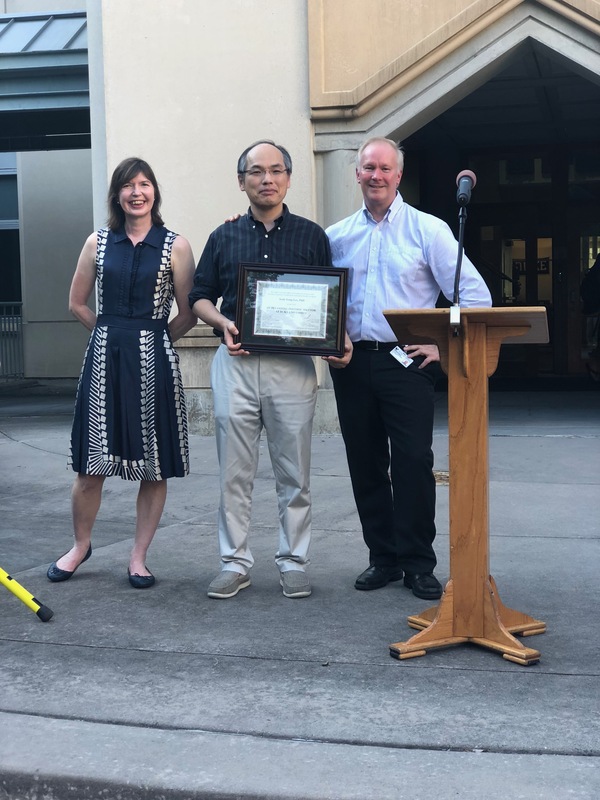 Dr. Colin Duckett, Vice Dean for Basic Sciences, presented the award for Outstanding Postdoc Mentor to Dr. Seok-Yong Lee from the Department of Biochemistry. A postdoc in the Lee lab writes: "Dr. Seok-Yong Lee is a uniquely devoted, assiduous, and supportive mentor. Over the course of a four-year postdoctoral tenure in his laboratory, I have become a more capable, confident, inquisitive, and impassioned scientist, both by following his example and by responding to his guidance and constructive criticisms. His steadfast approach to science has been an incredible inspiration to me; he has encouraged me to tackle challenging scientific problems and to use the most rigorous and thorough methods of addressing them. He has also taught me the power of patience and diligence in the face of a scientific challenge. For example, in my second year as a postdoctoral fellow, we submitted our work to Nature and it was fortunately sent out for review. The referees provided very positive feedback on all aspects of the work, except for a major enzymatic assay we employed in the study. They suggested that our paper should be rejected on the grounds of this critique. However, the editor gave us the opportunity to repeat this portion of the work using another technique if we so desired. Feeling very dejected at the prospect of redoing a year’s worth of experiments, I suggested to Dr. Lee that we pull the paper from consideration in Nature and instead submit it elsewhere, perhaps to a lower impact journal. He understood my frustration, but encouraged me to brainstorm alternative techniques we could use to repeat the work in a timely manner. 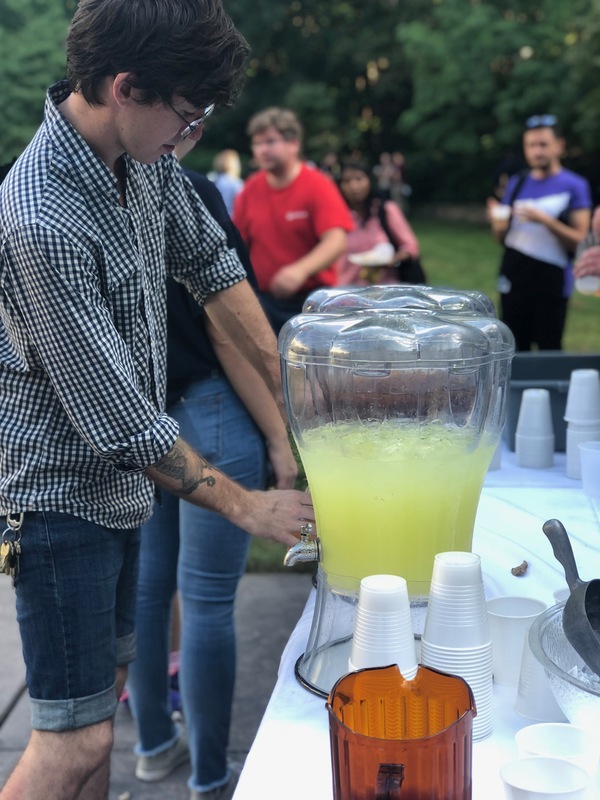 He saw that this roadblock actually offered us a great opportunity: most scientists working in the field were using a low-throughput and resource-intensive assay to interrogate enzyme activity, while we presented a more efficient alternative. If we could demonstrate to the referees that both techniques yielded similar results, we had an opportunity to advance the field more broadly and to thereby encourage more publication in this area. We jointly devised a strategy. I performed some key experiments using both techniques in addition to a third orthogonal biophysical method, all of which yielded consistent results. These data unequivocally demonstrated to the referees that both techniques were valid. We were able to publish our work in Nature, which was the most appropriate venue for our findings, as they influenced the direction of the field, both in a conceptual and technical sense. Dr. Lee’s focused attitude toward scientific inquiry and sense of integrity has influenced me on a personal level as well. Dr. Lee has been incredibly supportive, kind-hearted, and understanding during difficult times in my life. He of course gave me the time, space, and resources I needed to get back on my feet. But he also encouraged me to see science as a kind of escape during personal struggles. He helped me understand that the pursuit of scientific knowledge is a source of fascination and joy, which can be transcendent in times of difficulty. I am very thankful to have worked with Dr. Lee, from both a scientific and personal perspective, and I whole-heartedly endorse him as outstanding postdoctoral mentor." In short, Dr. Lee exemplifies what it means to be an Outstanding Postdoc Mentor. Thank you for serving as a role model for faculty mentors at Duke University! Dr. Duckett presented the award for Outstanding Postdoc to Dr. Sarah Longo from the Department of Biology. Dr. Longo's PI, Dr. Sheila Patek, wrote: "One year ago, Sarah joined my lab as a postdoc on a Department of Defense, Multidisciplinary University Research Initiative grant. Being a postdoc on this grant is an unusual and, for most postdocs, a somewhat terrifying experience. This team effort spans seven labs and innumerable areas including biology, engineering, polymer sciences and physics. Sarah came from a 100% biology laboratory, never having worked on a cross-disciplinary team, and was dropped right into this hot-bed of technical and cross-disciplinary interactions. Within weeks of her arrival, it became clear that Sarah is a rare talent, not only as a gifted scientist, but as someone who joyfully engages with the discomfort of working across disciplines. A mere few weeks into her job, she arrived with a calm and curious attitude, and immediately meshed with one of the key attributes of the team, which is to have a small ego and a willingness to be totally out of one’s comfort zone. 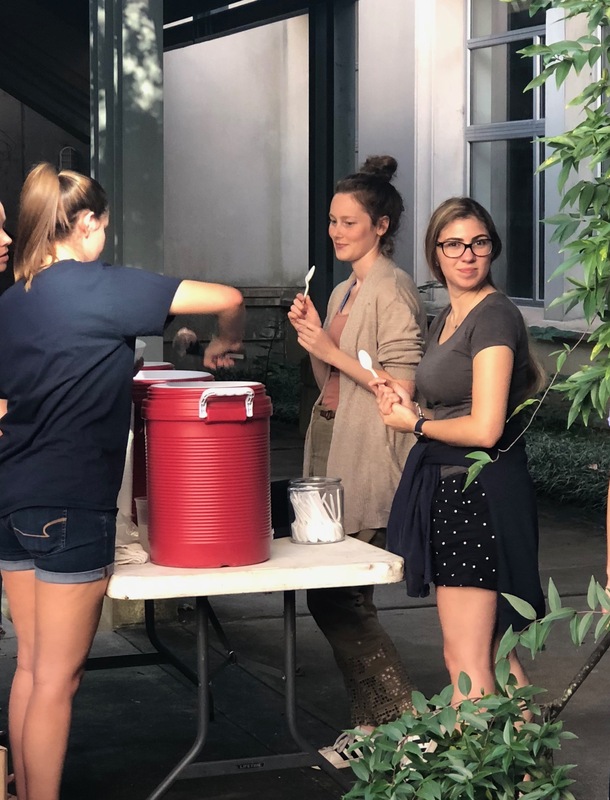 She can handle intense interdisciplinary exchanges, and, perhaps most importantly, members of the team immediately gravitated toward her insightful questions and curiosity. Sarah has developed a novel and exciting postdoctoral research project that involves real-time analysis of elastic energy release and measurements of the power density of biological systems, such as trap-jaw ants and snapping shrimp. Just in the span of the year, she has developed a new system that is likely to yield a series of high-profile papers. In all of the postdoctoral researchers in my lab to date, I have never had someone take such a deep dive into a topic, work tirelessly across disciplines, and emerge, in the span of just one year, with a new system, new insights, and ultimately a research program that will ground her own lab when she eventually starts her faculty career. There has been another remarkable aspect to Sarah’s arrival in the lab – her effect on my lab members. 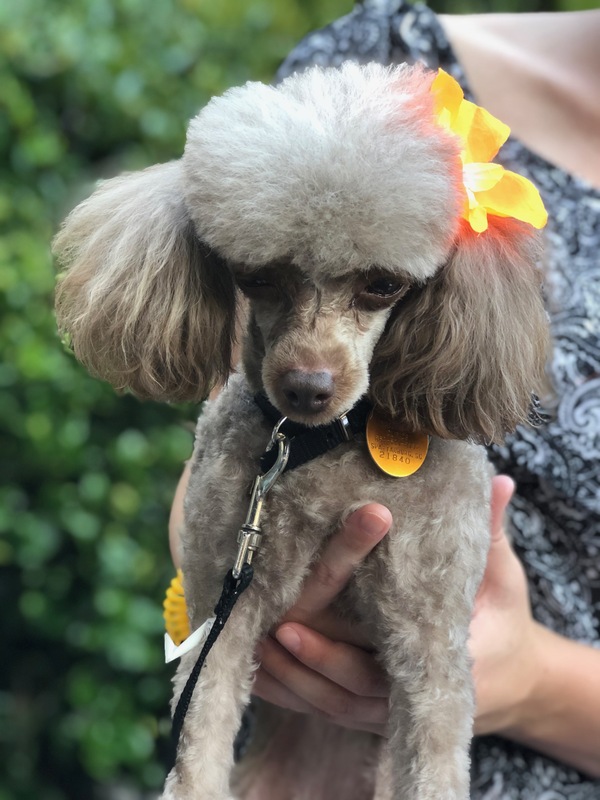 She has been transformative for the people in my lab. She is curious about their projects, looks at details, and then dives in to help – whether with R coding, mathematical analyses of motion, or experimental rigs. She has such a delightful way of combining curiosity with rigor that the whole lab has been energized and excited. Sarah is a truly superlative postdoc." A lab member writes: "As a recent undergraduate at my first job, I felt unqualified and awkward around the older students in our lab. However, as soon as Sarah started working with us, the whole dynamic changed. Sarah's easygoing nature, joyfulness, and ability to include everyone in a conversation made me feel like part of the lab. Sarah has also supported me when I face challenges. She has talked with me extensively about my research projects, and gotten excited about the twists and turns they take. Sarah awes me by the time she puts in to learning new concepts and techniques and I aspire to be as motivated and knowledgeable as she is, although it seems like an impossible goal. She supports everyone and somehow does all of her own work excellently as well." A graduate student writes: "Despite her work on three projects, Sarah can always find time to sit down and help me. She is always there to listen and provide feedback on how to improve my methodology or suggest another research avenue to pursue. Sarah improves the quality of all research projects in the lab, not just her own." A former undergrad who is now a grad student writes: "Sarah was an excellent mentor during my senior year as an undergrad and continues to mentor me as I begin my PhD program in Biology. Sarah has eased my transition by being patient and kind, while making sure my work is thorough and high-quality. I have had many graduate student and postdoctoral mentors, but Sarah has been the most effective, engaging, and influential mentor in developing my scientific curiosity and technical capabilities"
Dr. Longo's nominations demonstrate that she is truly an outstanding postdoc whose research successes are bolstered by her mentorship of others. We thank Dr. Longo for serving as a role model for postdocs at Duke University. The faculty, administration, and staff of Duke University extend a hearty THANK YOU to all of our postdocs and postdoc mentors. We are proud to honor your achievements in research, mentoring, and teaching! 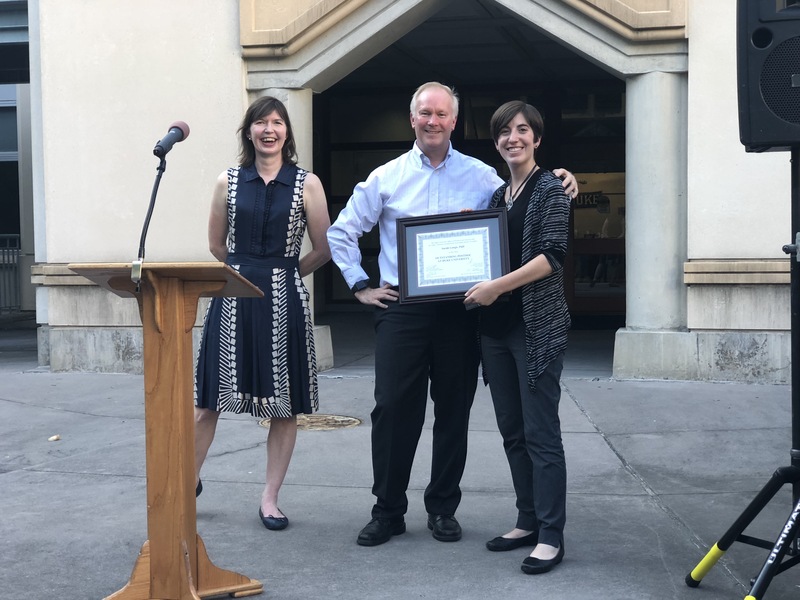 2018 Outstanding Postoc Dr. Sarah Longo with Vice Dean for Basic Science Dr. Colin Duckett and Director of Postdoctoral Services Molly Starback. 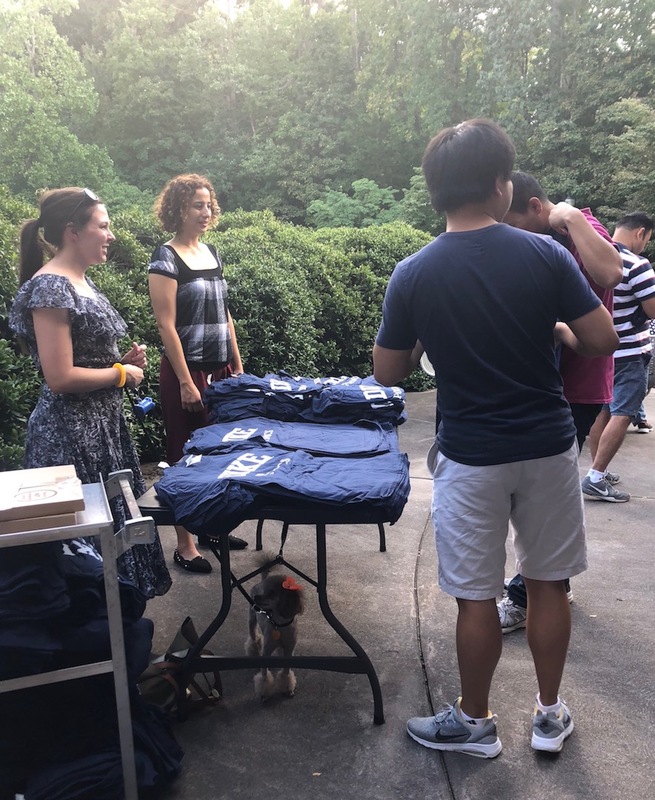 Postdocs line up to get their official Duke Postdoc t-shirts. Before you get your t-shirt you must pet the postdoc pup, Genevieve! Spoons are ready for tasty Maple View Farm ice cream - this year's surprise flavor is Sweet Potato! It was a warm day, perfect for lemonade, ice tea, or Torch Pilsner. A large crowd on a sunny fall day. Outstanding Postdoc Award winner Sarah Longo showing off her outstanding labmates. Speaking of outstanding, how about a round of applause for the Huzzah Band!